Dr. Sheila Carpenter was born and raised on Chicago’s South Side. At a very early age she knew she loved animals. 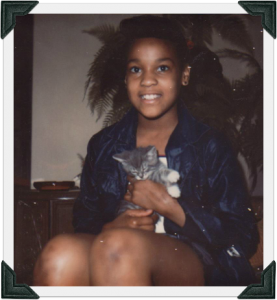 “I don’t remember a time in my life when I wasn’t caring for a pet.” Before age five, she explained what she dreamed to do with her life, and her mother taught her to pronounce the word, veterinary. With her mother’s love and encouragement, Sheila continued to strengthen her bond with animals by volunteering at local shelters. In the course of volunteering, she brought a few of those animals home to live. 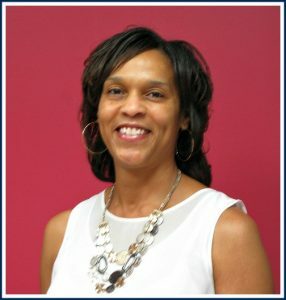 With strong academic values and perseverance, she excelled at Hyde Park Career Academy. She graduated in the top 2% of her class. Desiring to attend an Historically Black College or University, she entered Tuskegee Institute in 1982. She obtained her Bachelor of Science degree in 1985. 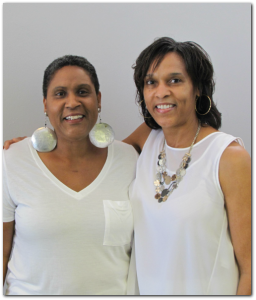 Sheila Carpenter continued to excel, entering the Tuskegee University School of Veterinary Medicine in 1985. Upon graduation in 1989, Dr. Carpenter spent a brief stint in Indiana. Then, she returned home to Chicago and began working as a veterinary associate. She was fortunate to land a succession of challenging associate experiences. With those experiences, she developed a wide range of clinical expertise and surgical technique. Dr. Carpenter’s approach to pet care was inspired by seeing what a difference an educated pet owner could make. She has made it her practice to take the time to inform clients how to protect their pets’ health between visits. The relationships developed over years of empowering pet owners have made her one of the most popular veterinarians in Chicago. Described by clients and staff as down to earth and easy to talk to, Dr. Carpenter works tirelessly to ensure Auburn delivers the best pet care. In August of 1999, Sheila Carpenter purchased Auburn Animal Hospital from a Tuskegee graduate who had owned the prestigious Auburn Animal Hospital for nearly 25 years. That owner had purchased Auburn from another veterinarian, who had been in the community for at least 30 years. Auburn has a 75-year history on the corner of Ashland and 83rd and has been under African American management that whole time. 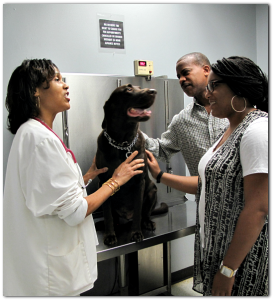 For nearly 20 years, Dr. Carpenter, along with her team, including her sister, Jeanine, seeks to provide every client in her community with a dog or cat with excellent veterinary care, grooming and boarding. Her team is committed to educating and empowering pet owners in a warm and friendly environment to empower them to provide the best quality of life for their beloved pets.